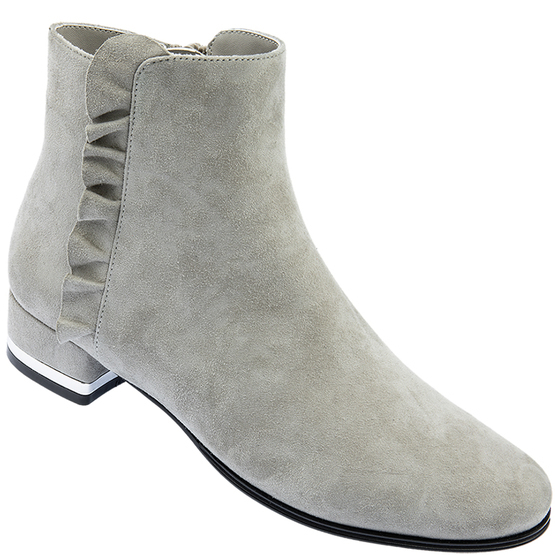 Stunning ankle boots in a beautiful suede that fits and feels glove soft. A 1 inch wrapped heel with a decorative metal band and a ruffle detail make this boot a star attraction. A light and flexible sole unit and full zip complete this wonderful style.